With New Year’s Eve just days away, the countdown is on — to 2014 and to the perfect outfit. Arafina can help you kick of the year in style — literally. 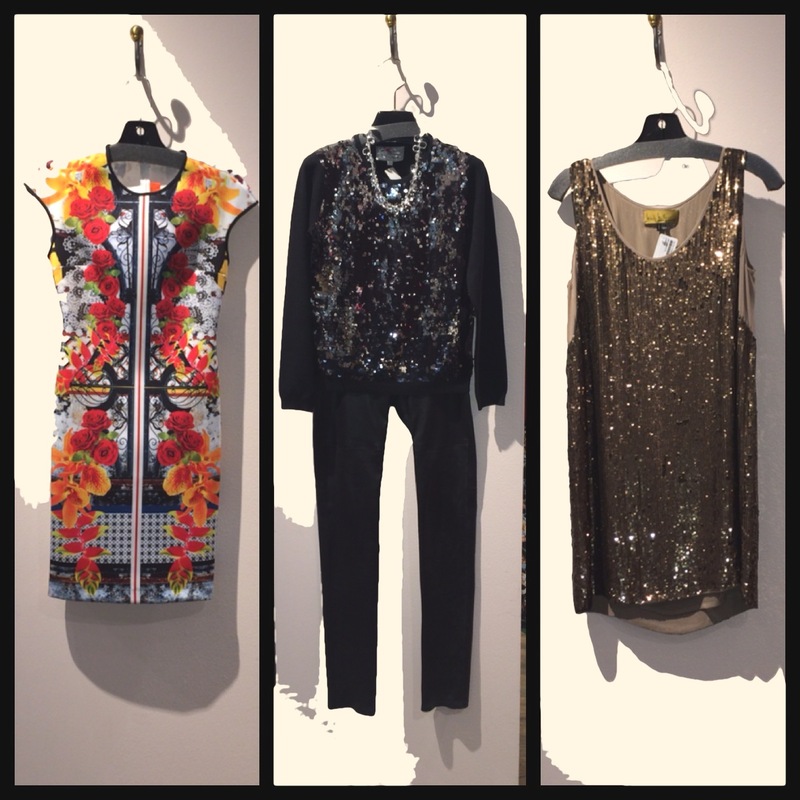 Whether you’re going to a more casual event or want to go for all out sparkle. They can find you an outfit as shiny and bubbly as your champagne. Here are three options, depending on your evening’s to-do. 1. Clover Canyon dress: Prints have never been more vibrant or in fashion. Clover Canyon’s neoprene dress has been spotted on celebrities and makes a bold statement. Perfect with all black accoutrements (tights, shoes, etc), you’re saying “here I come” to 2014. 2. Yoanna Baraschi sequin paillette sweatshirt and Graham and Spencer leather pants with JH Design necklace: For a more casual party, you can still sparkle. Pair this top with jeans or go more festive with leather pants. Add a necklace and go. Black has never been so not basic. 3. Nicole Miller sequin dress: Wherever you’re going — or even at home — New Year’s Eve is your chance to wear head-to-toe sequins. This sparkling little dress truly channels the spirit of the night. Cheers!